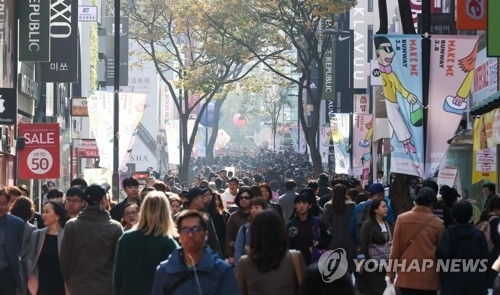 SEOUL, Nov. 19 (Yonhap) -- South Korea's economy has effectively made a leap forward as it bounced back from the painful 1997 Asian financial crisis that upended the lives of many people, local market observers said Sunday, as the country as a whole looks back at past events and seeks to find new direction for the future. As of the end of October, the country's foreign exchange reserves came to US$384.46 billion, a dramatic hike from just $20.4 billion two decades ago when Seoul was forced to ask for a $58 billion bailout from the International Monetary Fund (IMF). Now, South Korea is the world's ninth-largest holder of foreign exchange reserves after China, Japan, Switzerland, Saudi Arabia, Taiwan, Russia, Hong Kong and India. The ratio of South Korea's short-term foreign debt to its foreign reserves stood at 30.8 percent at the end of June, compared with 286.1 percent in 1997. A short-term foreign debt refers to external debt with a maturity of less than one year. This kind of debt could leave the borrower exposed to external shocks and outflow of capital. South Korea has also recently secured a powerful safety net against any possible financial crisis by signing a standing bilateral currency swap deal with Canada. Bank of Korea (BOK) Governor Lee Ju-yeol has called the arrangement "the most meaningful of currency swap deal." The Canadian dollar is one of six reserve currencies in the world. 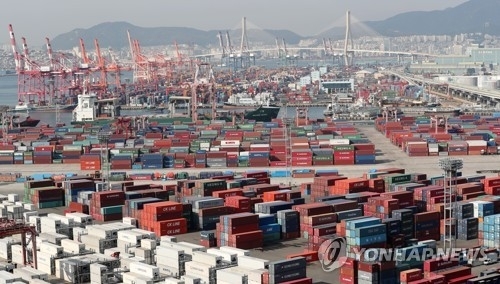 In a sign of improved economic fundamentals, South Korea's current account surplus reached $93.38 billion in the January-September period, a dramatic turnaround from a deficit of $10.28 billion in 1997. South Korea's benchmark Korea Composite Stock Price Index, a key barometer of economic health, closed at 2,533.99 on Friday, a dramatic rise from 376.31 in December 1997. The booming stock markets are telltale signs of investors' confidence in the Asia's fourth-largest economy. The upbeat numbers are seen as signs that South Korea is now largely immune to the kind of financial crisis that rocked it 20 years ago, said Lim Won-hyuk, director of the global economy research division at the Korea Development Institute, a state-run think tank, citing improved corporate and financial stability. 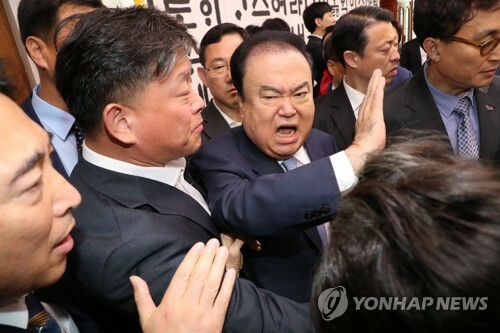 Lee Kyu-sung, who served as minister of finance and economy from 1998 to 1999, has described the financial crisis as "a blessing in disguise" as the crisis helped fundamentally restructured the economy. This view is shared by many who have said that while the crisis traumatized South Koreans and forced them to endure harsh restructuring, it eventually led to a successful economic turnaround. Three major global credit appraisers -- Standard & Poor's, Moody's Investors Service and Fitch Ratings -- have also upgraded South Korea's sovereign credit rating over the past two decades, citing Seoul's fiscal soundness and solid economic growth. S&P awarded an "AA" rating to South Korea, up 11 notches from 1997 while Moody's and Fitch rated South Korea's sovereign rating "Aa2" and "AA-" rating, respectively, up eight and 12 notches from 1997. The improved sovereign credit ratings are the latest reminder of growing confidence in the South Korea's economy, despite tensions over North Korea's nuclear and missile tests in recent months. Tarhan Feyzioglu, Korea Mission Chief of the IMF, has recently revised up the growth outlook for South Korea's economy this year to 3.2 percent on a strong expansion in investment and improving export. The upward revision came a month after the IMF adjusted South Korea's gross domestic product growth to 3 percent. Last month, South Korea's central bank raised its growth outlook for the country's GDP to 3 percent for 2017, up 0.2 percentage point from the central bank's estimate released in July. The BOK forecast country's annual economic growth may reach 3.15 percent if the economy expands only 0.20 percent in the fourth quarter. An economic growth of 0.92 percent in the October-December period would translate to annual increase of 3.35 percent, according to the BOK. Despite the positive developments, Kim Jung-sik, an economics professor at Yonsei University, said there is still a chance of a financial crisis occurring since South Korea is an open market. South Korea -- a small open economy -- heavily depends on exports and foreign capital investment, a development that could make Seoul vulnerable to external shocks. Other worrisome signs are the country's growth outlook is far behind a high economic growth that South Korea enjoyed before the financial crisis two decades ago. In 1996, South Korea's economy expanded 7.6 percent before falling to 5.9 percent growth in 1997. In 1998, the economy contracted by 5.5 percent due to the financial crisis. The South Korean economy has since been stuck in a chronic low growth around 2 percent. Many experts here cautioned that South Korea could lose economic vitality due to rapid population aging and a chronic low birthrate. In 2016, the number of South Koreans over 65 accounted for 13.2 percent of the country's population, according to South Korean government data. A country is defined as an aged society when more than 14 percent of its people are 65 or older. South Korea's total fertility rate -- the average number of children a woman bears in her lifetime -- stood at 1.25 in 2016, much lower than the replacement level of 2.1 that would keep South Korea's population of 51 million stable. South Korea has been struggling to boost the demographic decline, though no significant progress has been made yet. Overall, however, most concur that the country's ability to weather the storm has been tested and there is no reason to think one of Asia's leading economies cannot overcome future challenges.